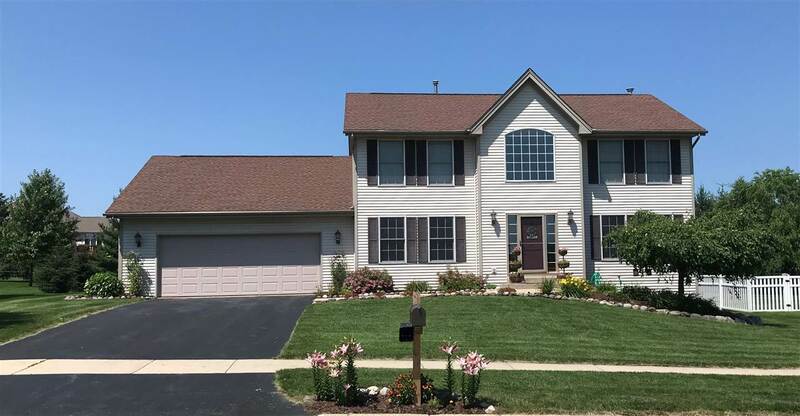 Prestine 4 bedroom, 2.5 bath, 2-Story home in the desirable Hononegah School District in the popular Old River Hills Subdivision. This freshly painted home sits on .45 acres surrounded by mature trees. The kitchen has brand new (April, 2019) stainless steel appliances that stay! The zoned heating offers energy efficiency and the ability to control temperatures between levels. Spacious bedrooms with the master bedroom offering a walk in closet and double vanity bathroom. Upgraded granite countertops in most bathrooms. The lower level features a raised sill for higher ceilings, plumbing for a future bath as well a 3 large egress windows with great potential for future additions. The 4 car tandem garage has plenty of storage for cars and outdoor toys! This home is ready for its new owner!